Wherever he goes, the dreamseller enchants, stirs up trouble and inspires his listeners to search for the most important thing: the heart of the human soul. Every person he meets is someone who has abandoned their dreams and is struggling through life: a professor who has stopped pursuing his passions, an alcoholic who has no family, the elderly who have lost their zest for life. Through his questioning and wisdom, the dreamseller helps them to look into their silent hearts and get to the root of their unhappiness. 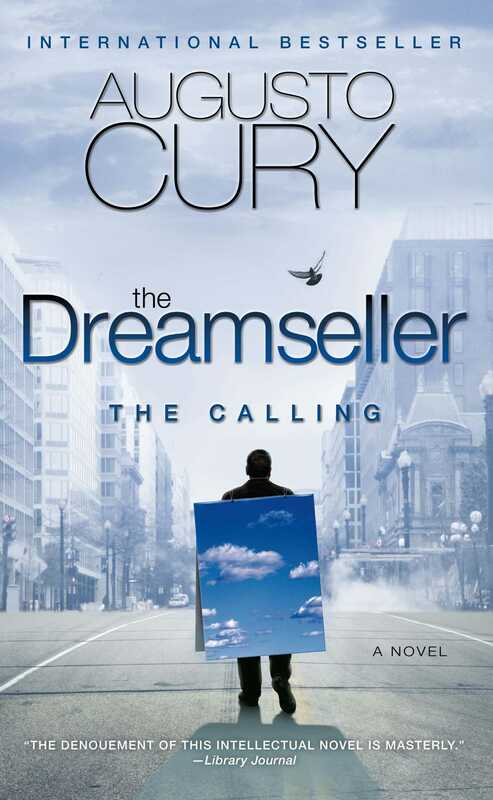 The Dreamseller: The Calling is moving, entertaining and ultimately inspiring. This book will make you laugh and cry, but above all, it will make you reflect on the purpose of your life, value others and become empowered to believe in your dreams. This reading group guide for The Dreamseller includes an introduction, discussion questions, ideas for enhancing your book club, and a Q&A with author Augusto Cury. The suggested questions are intended to help your reading group find new and interesting angles and topics for your discussion. We hope that these ideas will enrich your conversation and increase your enjoyment of the book. Julio Cesar Lambert stands atop the great San Pablo Building in New York City, ready to leap to his death. A mysterious stranger appears out of the crowd and convinces Julio to not be afraid of life and more than that, to live it intensely: by selling dreams. Doubtful at first, Julio Cesar joins this mysterious man on a journey, collecting other dream sellers and helping strangers realize what has been missing in their lives. What follows is a remarkable parable exploring the major themes of modern existence as this wild band of misfits, lead by the Dreamseller himself, work to change the world. 1. From the onset of the novel, Julio Cesar is in big trouble. Identify the parts of his personality and of his life that would lead him to consider suicide. What were your first impressions of him, as a character? How does this impression change throughout the course of the novel? 2. The Dreamseller says to Julio Cesar as he is standing by the ledge, “You’re willing to smash your body in exchange for a restful sleep, even if it’s inside a tomb.” (p. 9) What methods does the Dreamseller employ to prevent Julio Cesar from leaping to his death? Why didn’t he respond to regular means of therapy? What makes the Dreamsellers’ approach more successful? 3. Julio Cesar is very dissatisfied with academic life, just one of the ghosts haunting him. “He felt that the university where he taught—this temple of learning—lacked the tolerance and creativity to unleash fresh thinking…Professors, scientists, and thinkers weren’t free to explore. They had to conform to their departments thinking (27).” How true is this thought? Is this merely Julio’s negativity about his own life or a bitter truth about certain academic systems? 4. According to the Dreamseller, “society’s obsession with worshipping celebrities was the clearest sign that we were losing our minds.” (p. 37) What are the Dreamseller’s reasons for this particular philosophy? Do you agree with his argument? Where do you believe this obsession with celebrity culture stems from? 5. “During this short walk, the Dreamseller had taught me that small gestures can have more impact than great speeches, that our actions and moments of silence can be more effective than all the world’s PowerPoint presentations.” (p. 41) How do the characters eventually come to see the power of this particular idea? 6. When the group meets Dimas, a thief, who later receives the nickname Angel Hand, the Dreamseller explains to him: “The worst swindler isn’t he who deceives others but he who deceives himself.” (p. 66) What are the true crimes Angel Hand commits? How does he suffer for these crimes? 7. What did you think of the Dreamseller’s proverb about the hyena and the swallow? How does this story explain the Dreamseller’s intentions? 8. There is this notion of ‘normals’ in The Dreamseller: The Calling. Whom does this title refer to? What are the characteristics of this particular group of individuals? Why does the Dreamseller want to help these people? 9. “[Wakes] are the most lucid places in society. Here, we disarm ourselves, strip away our vanities, remove our makeup. Here, we are who we are.” (p. 80) Do you agree with this philosophy of the Dreamseller? Why does this proximity to loss and death give a certain kind of clarity? What is it about the process of public mourning that allows people to become ‘mere mortals’? 10. Julio Cesar freely admits: “We were all addicts, all of us.” (p. 102) What do you think he means by this? What ties do these ragtag individuals, all from very different backgrounds, share? What about their lives makes them follow the Dreamseller? 11. On his journey with the Dreamseller, Julio Cesar confronts some very negative aspects of himself: “I discovered that people like me, who always defended human rights, are grossly prejudiced in some areas, even if this barbarity is subtly manifested in a hypocritical smile or in indifferent silence. We’re worse than vampires. We kill without extracting blood.” (p. 105) What kinds of ‘crimes’ is Julio referring to? What are the implications of an average person’s life if this statement is true? 12. “The Internet, video games, computers—they’re all so useful, but they’ve destroyed something invaluable: childhood. Where is the pleasure of silence? Where is the fun of playing outside? Where is the innocence?” (p. 115) How true is this idea? How have these modern technological advances affected our children’s lives? 13. What is the difference between the ‘selling of dreams’ and the ‘buying of dreams’? How are the two ideas related? How are they different? What sort of experiences call for each philosophy? 14. The group finds itself at a home for the elderly, where the Dreamseller explains, “whoever doesn’t delight in reaching old age isn’t worthy of his youth. Don’t fool yourselves: A person doesn’t die when his heart stops beating. He dies when the world tells him he’s no longer of any value.” (p. 123) How do the elderly teach the young about how to live? What have you learned from your grandparents or other older people in your life? 15. The ‘band of misfits’ the Dreamseller gathers through the novel all have very specific vices, and, conversely, very specific talents. Discuss the vices and virtues of Bartholomew, Dimas, Edson, and Solomon, and the others that make up this very special ‘group’. Why is this combination of personalities important? 16. Were you surprised by the conclusion of the novel? What did this say about the Dreamsellers’ philosophy? How does this ending change your perspective of the Dreamseller? 1. Julio Cesar learns a revolutionary idea from the Dreamseller: “And then it hit me. Everyone should set out like this, without a goal or a destination, at least for one day, searching for the lost pieces of oneself.” (p. 58) This wonderful concept of wandering with no plan or schedule is a rare practice in our daily, busy lives. With family, jobs, and other responsibilities, there is a tendency to get caught up in the routine. Take a day off, knowingly, ‘without a goal’, and see what happens. Write down your experiences and feelings when the day is over. Do you notice any difference upon your return to your daily responsibilities? Discuss your experiences with your book club. 2. Many of the biblical parables discussed in The Dreamseller: The Calling are well-known. However, much of the novel draws from Taoist philosophy as well. Pick up a copy of the Tao Te Ching, the classic Chinese text written in 6th century BC by the sage Laozi. The Tao Te Ching is the definitive text that concerns itself with energy, personal relationship to nature, and of self-discipline, much like the teachings of the Dreamseller. Experience the wisdom and subtle beauty of this ancient and potent way of life. 3. Make a list of all the ‘followers’ of the Dreamseller. Next to their names write down what their vice, or problem, really is. Then, make a list next to it what their virtues are. Isolate what each character symbolizes. What patterns do you find in their problems, and solutions? Discuss with your book club which character you most identify with. You have an extensive history and practice in dealing with the problems and concerns of the human experience. This novel is clearly a passionate project for you. Please talk about the path that led you to write The Dreamseller: The Calling. As a psychiatrist, psychotherapist, and researcher of psychology I realized that society is rapidly becoming sick, in terms of mental health. These days it is normal to be stressed, anxious, and it is abnormal is to be quiet, good humored, cheerful. In The Dreamseller I call for people to take care of their mental health, to search for the pleasure of living in the most important address: themselves. The Dreamseller: The Calling is very much a parable of its own, reminiscent of the cherished stories in the Judeo-Christian tradition, while also skillfully blended with Eastern philosophy. What sort of stories from the world’s rich, cultural history did you draw on for this work? I draw on many sources, especially the history of the most famous man in history, Jesus. Unfortunately Jesus, the man, was only studied from a spiritual point of view and not from the perspective of psychiatry and psychology. He is fascinating; he was the greatest teacher of history and the best dreamseller. He brought together a group of anxious and uneducated disciples and made them into a group of altruistic and generous thinkers. They learned to think before reacting and to express their ideas but not impose them. The Dreamseller seems to be written in the same vein as The Alchemist or Siddhartha. What other authors have influenced you as a writer? Will Durant, Socrates, Plato, Aristotle, Saint Augustine, Spinoza, Hegel, Kant, and other philosophers. The Dreamseller instructs his follower to, “fear your own thoughts, for only they can penetrate into your essence and destroy it…Someone can bruise your body without permission, but he can never invade your mind unless you allow it. Don’t let yourself be invaded. We are what we are.” (p. 72) This lesson is evocative of the Taoist approach to essence and the mind. Do you have any kind of personal to this ancient philosophy? I don't have a direct relationship, but all thinkers and philosophers who teach to be walkers in the paths of our own being are in harmony with the Dreamseller. I was one of the greatest atheists of all time—more than Nietzsche, Marx, Sartre, and Freud. But I changed my mind. I thought that believing in God was for ignorant minds, but I altered my outlook. I don´t advocate one religion, but believing in God has become for me an act of an astute mind—a mind that sees that life, however long it is, is in truth a small portion of our text and death is only a comma. This text continues into eternity. Your readership is in the millions, and your life-long study of the human mind is well-documented. What about your particular philosophy do you feel draws readers to this type of fiction? What does this say about our modern way of living? I don´t understand why my books are successful and reach tens of millions of readers. I don´t understand why The Dreamseller received the award for the best work of fiction book in China last year. I don´t understand why Koreans, Russians, Spaniards, have been reading it with passion. Perhaps because this book and my other novels are written from a psychiatric and philosophic perspective. Perhaps because our social systems have led us toward boundless consumerism and turned us into beggars in the field of emotion, beggars who little appreciate the many scraps of pleasure in life. Maybe because we have hit a critical moment: we have increasingly become credit card numbers, rather than unique and complex humans. The Dreamseller explains, “The most vulnerable child has a more complex mind than all the computers in the world strung together. But where is more money and research invested, in helping children or in building machines?” (p.134) How do you see modern society influencing our children? What do you think are some of the drawbacks from our obsession with technology? I believe that modern society is sick—forming sick people for a sick system. No one invests in research to develop the most complex functions of intelligence in our children and adolescents. And what are these functions of intelligence? Thinking before reacting, contemplating beauty, feeling emotion, expressing but not imposing ideas, abstract thinking, solidarity, generosity, thinking as a species, etc. For more than ten years I have worked to develop the Intelligence School Program (WWW.programaei.com.br) where we work on more than fifty of those functions. We cry with joy from the results. The program will soon be implemented in several countries. With all of your experience interacting with others, what would you say is the biggest obstacle facing everyday people? There are many obstacles. I will mention a few: the difficulty of feeling our emotions, internalizing, knowing ourselves and overcoming loneliness. We are close to people physically, but far mentally. We know about the outside world but not about ourselves. Most of the books you have written have been motivational in nonfiction. What led your decision to write fiction? What are the differences between the two mediums? My nonfiction books are not motivational, but popular science. I have written more than ten books on the human mind, the construction and formation of thoughts. I’ve written four books of fiction and this is my first to be published in the United States. I'm happy because I admire the American people, a multicultural and dreaming people. In The Dreamseller, I invite readers to make the most important journey that a human being can make in this gorgeous and short trajectory of existence, a journey inside themselves. Are any of the themes or teachings you write about in The Dreamseller inspired by your family or your own upbringing? The Dreamseller lost what he loved most, his family. He was left with a great fortune, fame, status, political power. We also lost some children in our family in a tragic accident, and we were left with the ability to dream. This novel was also inspired by the chaotic lives of many of my patients. But this novel is saturated with hope and joy and reveals the skills of our mind: we can write the most important chapters of our lives during the saddest days of our history. What’s next for the Dreamseller? Can you give us any clues as to what to expect in the future? The Dreamseller will continue provoking people in the streets, malls, schools, to open their minds and understand that a life without dreams is like a sky without stars, a spring without flowers, a mind without creativity. In the next books of this saga, The Dreamseller willl prove that life is a big question in search of great answers. 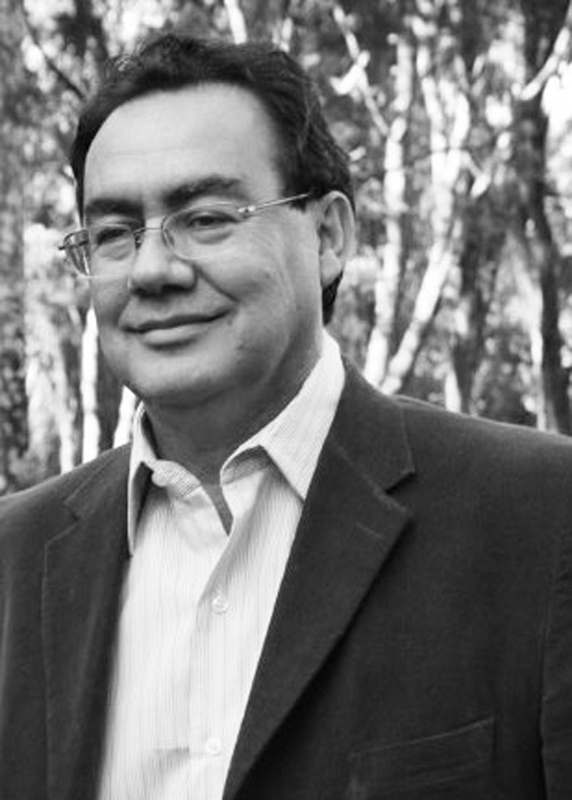 Augusto Cury is a psychiatrist, psychotherapist, scientist and bestselling author. The writer of more than twenty books, Cury is currently one of the most widely read authors in Brazil where he has sold over twelve million books. His books have been published in more than fifty countries. The Dreamseller: The Calling is the recipient of China’s 2009 Weishanu Award for Best Foreign Novel. Through his work as a theorist in education and philosophy, he created the Theory of Multifocal Intelligence which presents a new approach to the logic of thinking, the process of interpretation and the creation of thinkers. Cury created the School of Intelligence based on this theory. Please visit www.thedreamseller.net.